Don't make me frog it. You won't like me when I frog it. 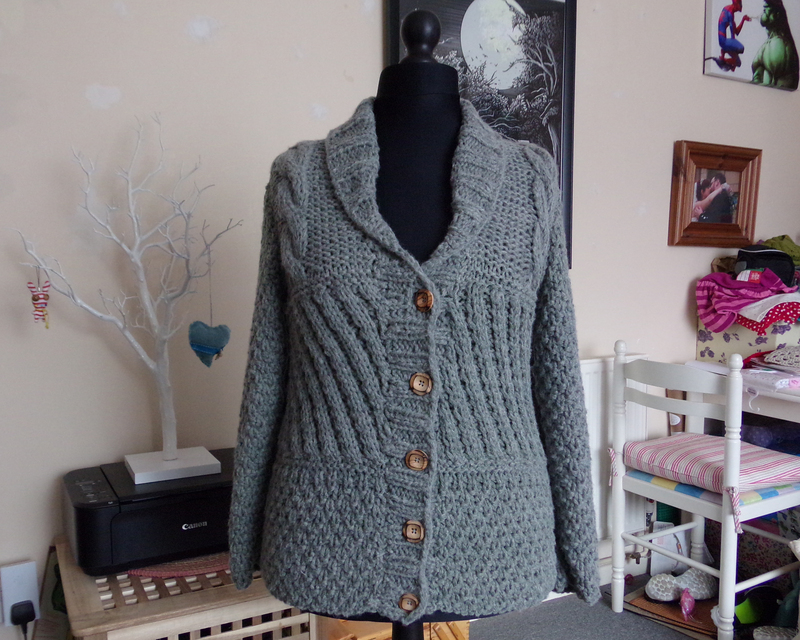 I started my grey cabled cardigan at the end of November/beginning of December, back when it would have been useful! It would have been a fast knit, as it was worked up in super chunky yarn and 10 mm needles, but Mr BAM’s big grey jumper took precedence. I found I only had it in me to work on one big grey WIP at a time, and I needed a big dose of colourful crochet to cheer me up again afterwards! Sometimes everyday life gets in the way of my blog, and sometimes it bundles me into a sack, throws me off a cliff and leaves me fending off wild badgers with nothing but a teaspoon and the evil glint in my eye. The last week has been nothing but badgers and teaspoons. To be terminally cheerful about the whole thing, the upside is that I got a lot of knitting done whist waiting around the hospital, and Mr BAM is now safely home and infection free after some minor surgery. Also, I can safely say that I have definitely not missed my vocation as a nurse. We really don’t pay those poor people enough! 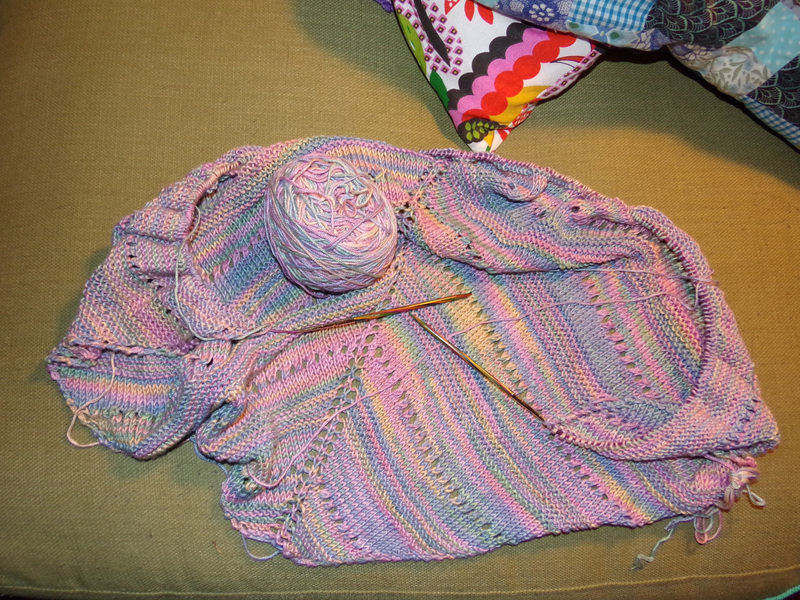 I impulsively began knitting another shawl almost as soon as I”d finished my Noro one, but opting for a much simpler pattern ( LaLa’s Simple Shawl – free pattern on Ravelry) so I could just pick it up and go whenever I had time to kill. After the slubby Noro yarn, the slinky sugar cane viscose of the Araucania Ruca yarn I dug out from my stash is amazingly soft, if splitty. 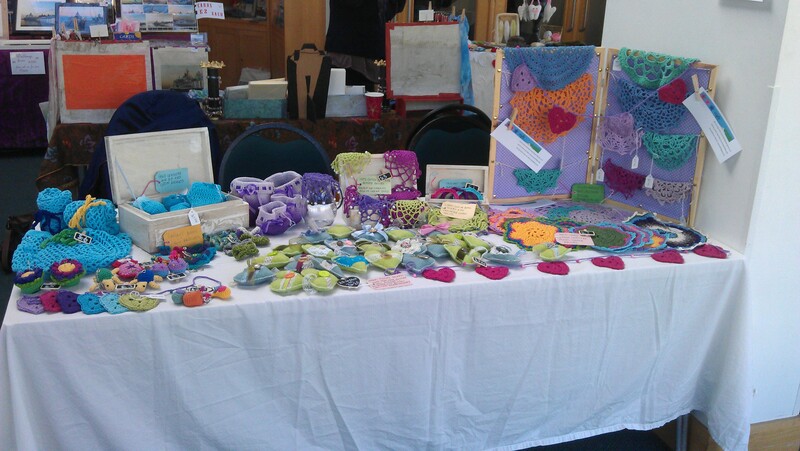 Craft fair, bunting, cute and smelly (in a good way!) little owls, WIP and socks. Suddenly it’s Wednesday and I still haven’t updated my blog! I can’t blame it all on recovering from the Briar Patch craft fair on Saturday, although I was exhausted after spending the day chatting away with both customers and fellow stallholders. A steady stream of compliments more than made up for the slow sales, and it was a fantastic opportunity to network with other creative people locally. 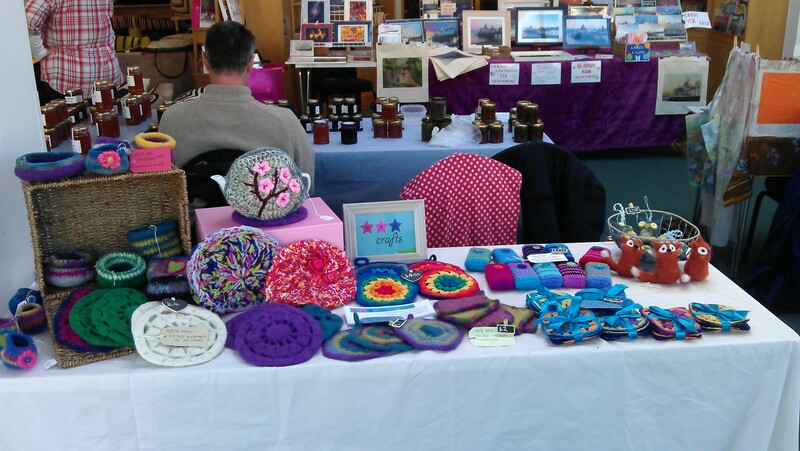 There’s not a lot of crochet at this particular craft fair, and what there is is mostly hats and scarves, so my stuff really stood out. I was lucky to be given an extra table to fill at no additional cost due to a last minute reshuffle by the organiser!